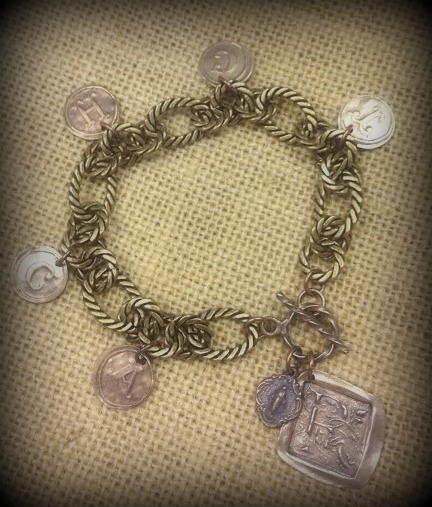 Description Build your own vintage style bronze charm family bracelet. Price includes chain link bracelet with one square ornate initial and miraculous medal attached to toggle. You design your own by adding the initials you want. Add as many small round initials as you need. Square initial recommended for owner of bracelet and small round initials should be children or grandchildren. Bracelet in picture is one square ornate initial (mother) and small round initials (children).